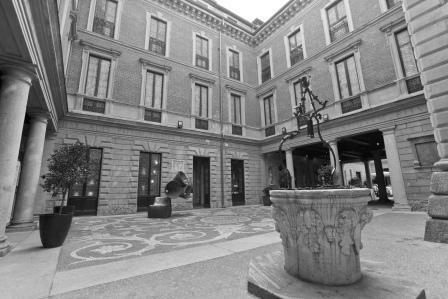 Among the collections of artistic objects of the Bagatti Valsecchi Museum, metal objects of Italian and foreign manufacture hold a relevant place: from the brass plates of the 15th century preserved in the Dining Room to the washbasin in the Bath Room, which has an antique appearance but actually conceals an ingenious modern hydraulic system. Metal is the dominant element not only for these decorative objects but also for the beautifully wrought armours, on display in the Gallery of Arms in the Hall of the Museum. The art of forging metal is a noble and ancient one. Come and discover how a Milanese metal sculptor translates it into the contemporary times with state-of-the-art techniques.